start learning something new here: WHEN WAS LORD RAMA BORN? WHEN WAS LORD RAMA BORN? Do you know exactly when was Lord Rama born? When did Rama kill Ravana? Read all this below. 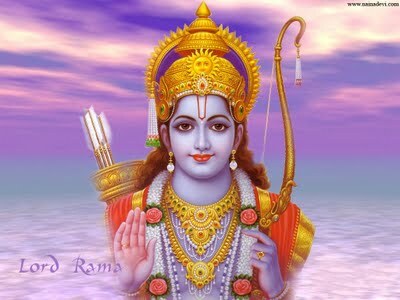 Lord Ram was born on the noon of January10 in the year 5114 BC. In Hindu calendar, it was the ninth day of Shukla Paksha in Chaitra month. Stunned! Well, this exact date of the birthday of Lord Rama is found in the book ‘Dating the Era of Lord Ram’ by Shri Pushkar Bhatnagar. The exact date was obtained by entering the planetary configuration at the time of the birth of Lord Ram as mentioned in the Valmiki Ramayana in Planetarium Software. Interestingly, for thousands of years Hindus have been celebrating Ram Navmi, the birthday of Lord Ram, exactly on the same time and date. In the original Sanskrit Ramayana written by Sage Valmiki, while mentioning about the birth of Lord Ram, Valmiki had mentioned the astronomical details of the precise moment. Valmiki himself was present in the palace of Dasaratha and he mentions it thus in Bala Kanda of Ramayana. When this data was entered in the Planetarium software, the day was January 10, 5114 BC. But how could Chaitra Shukla Navami occur in January? We celebrate Ram Navami in March or April. There is an astronomical phenomenon called ‘precision’ of the sun as also of the equinoxes. According to the latter, the star which is now taken to be the Pole Star (Dhruv Tara), would yield the place to the Star Abhijit (Vega, alpha Lyrae), 14,000 years from now. So when the lunar month of Chaitra occurred seven thousand years ago in the month of January, 7000 years later, it occurs in the month of (generally) April. Further, Valmiki had mentioned about other planetary configuration. One such was the planetary configuration when King Dashratha decided to make Lord Ram the king of Ayodhya. According to the book, such a planetary configuration was prevailing on January 5, 5089 BC. Lord Ram was then 25 years old and there are indications in the Ramayana that Lord Ram left Ayodhya when he was 25.